Rayna Vause is a lifetime learner who wants to live on a Disney cruise ship traveling the world and thinks purple should be considered a natural hair color. She loves to craft tales full of mystery, magic, and adventure and is a proud geek who injects a little bit of her geeky, tech-obsessed soul into every story. Rayna has collected degrees in English, Computer Information Systems, Radiologic Science, and Physician Assistant Studies. She’s planned readers and writers conference for more then ten years and has spent a great deal of time serving on the boards of various writers organization. 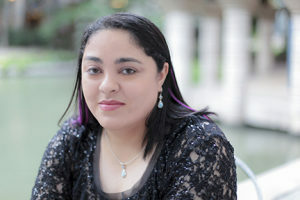 Rayna is a member of RWA Philadelphia Romance Writers, and RWANYC. Author Photos by Marti Corn Photography.